Every Shareable App comes with analytics available right from your dashboard. Here you can track installations, visits, device information and location of users. View a graph of installations over time. View the number of visits over time. View a breakdown of the types, brands and operating systems of devices that have used your app over time. 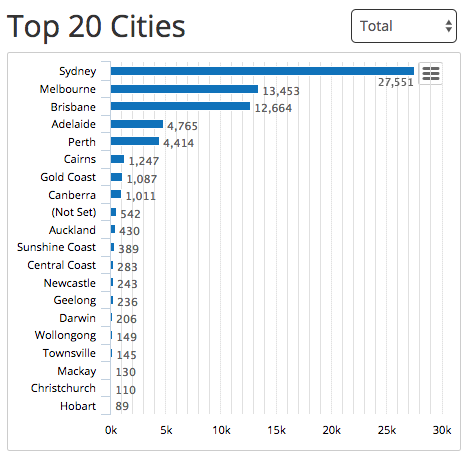 View a breakdown of the cities from which people are sharing your app over time. 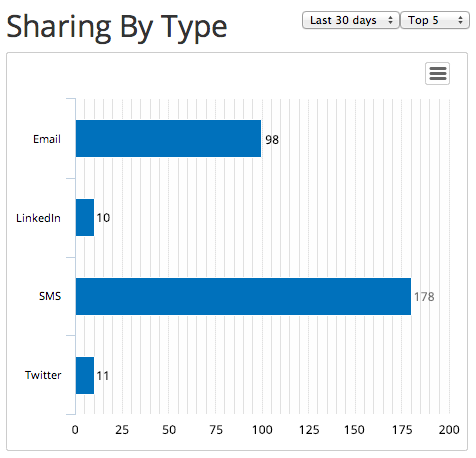 View a breakdown of the methods that people have used to share your app over the time.